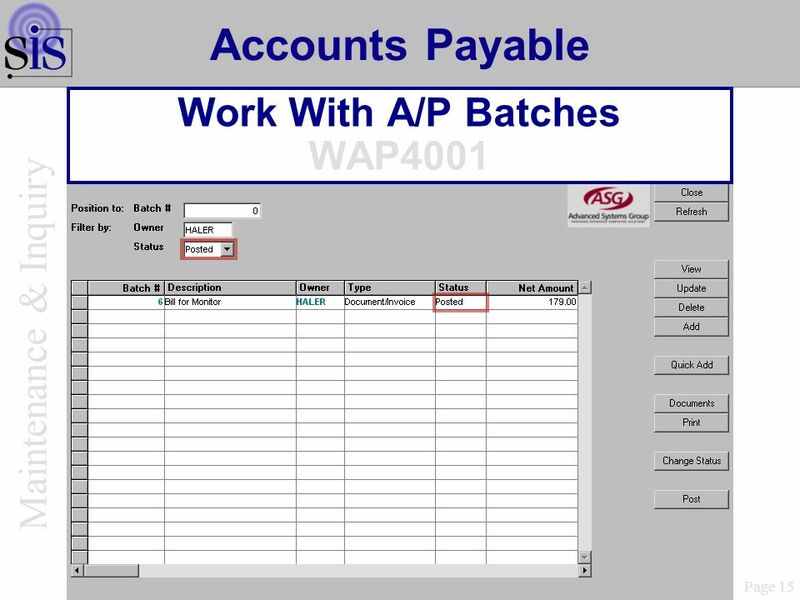 Page 1 Accounts Payable from a PO. 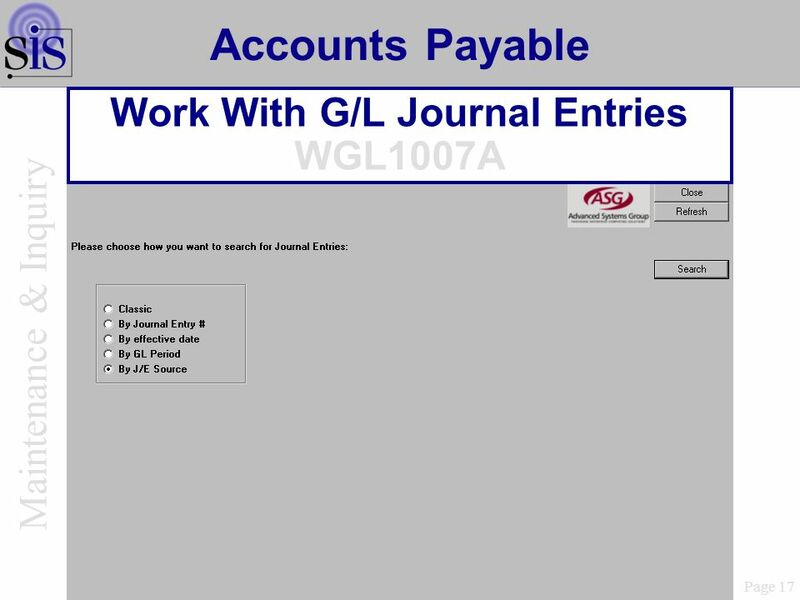 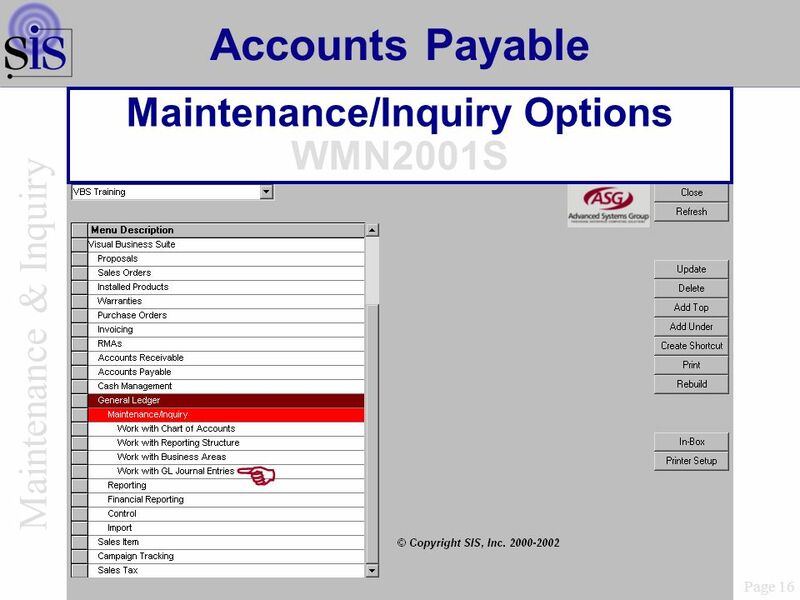 Page 2 Accounts Payable Maintenance/Inquiry Options WMN2001S. 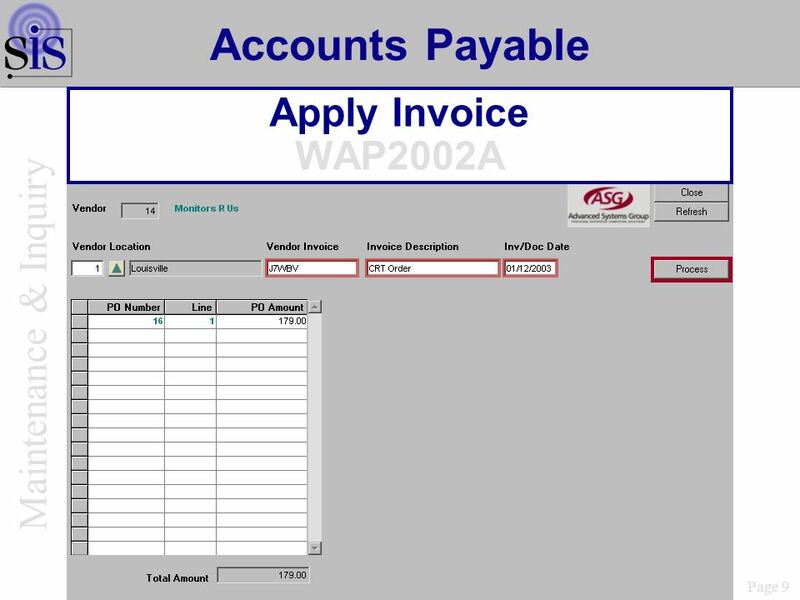 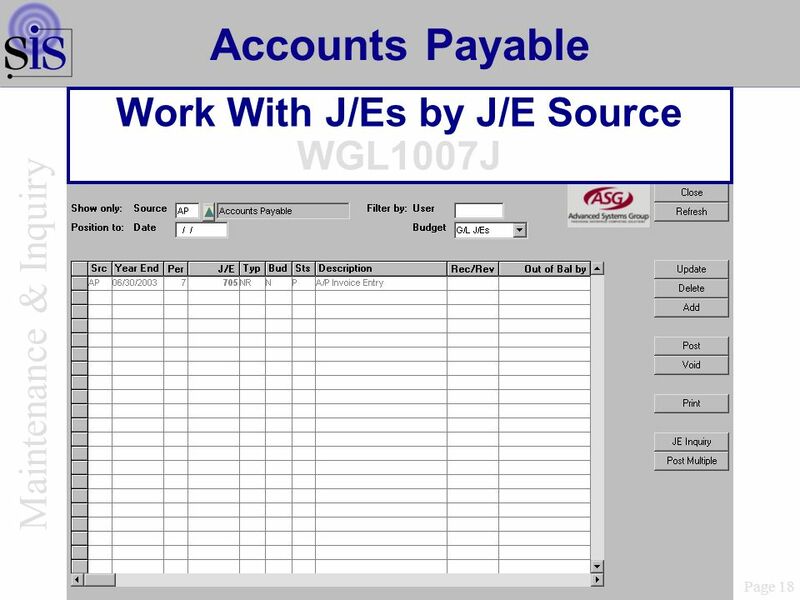 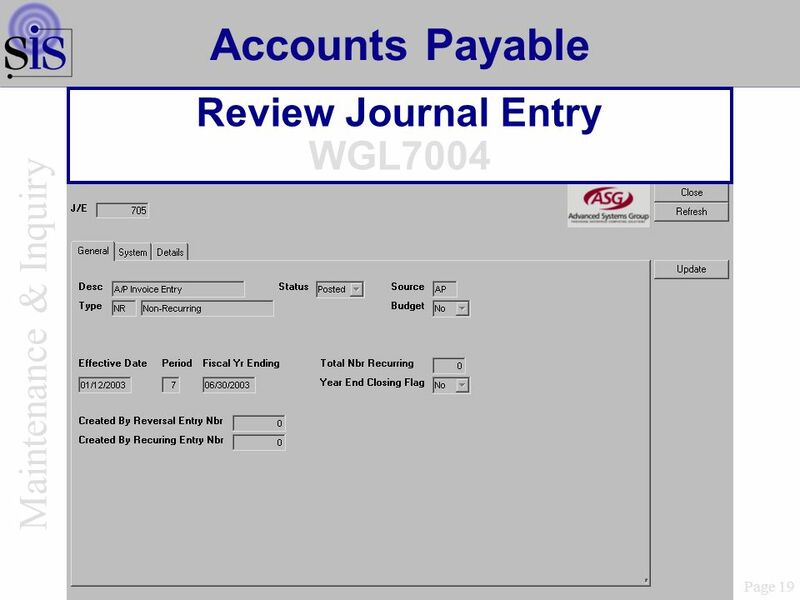 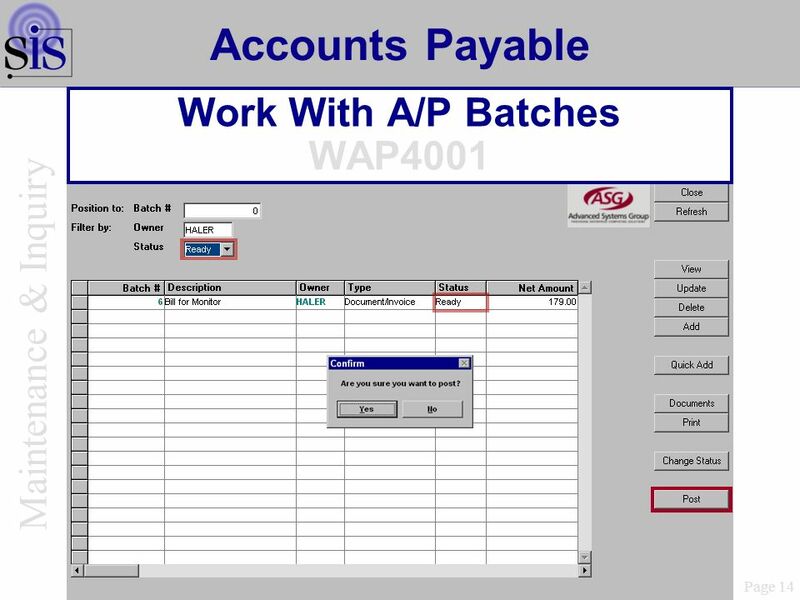 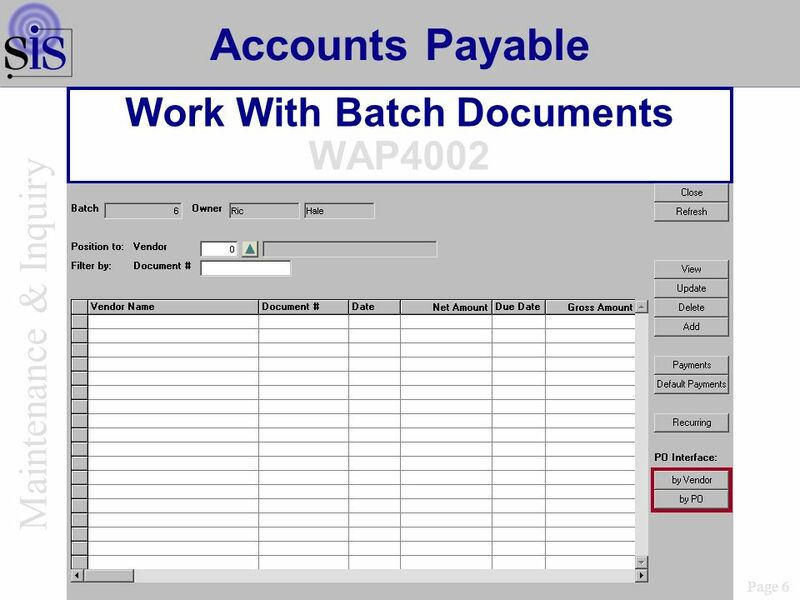 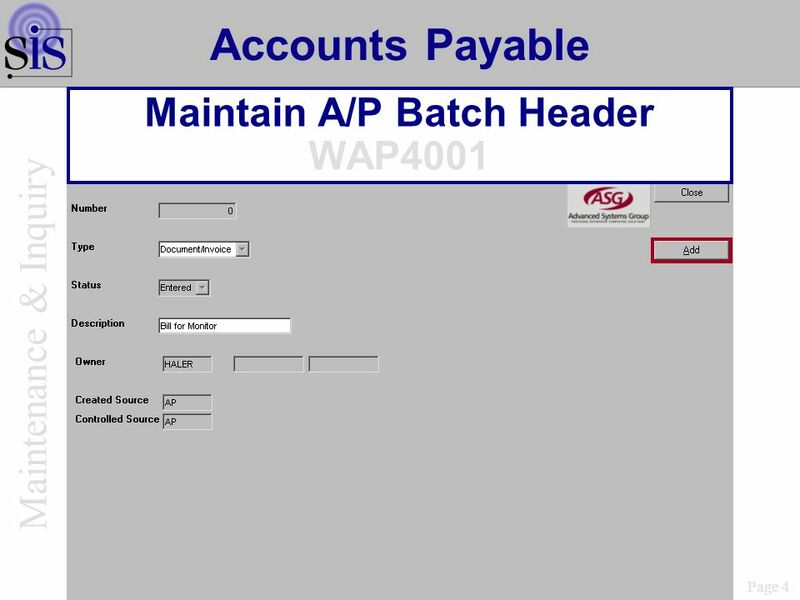 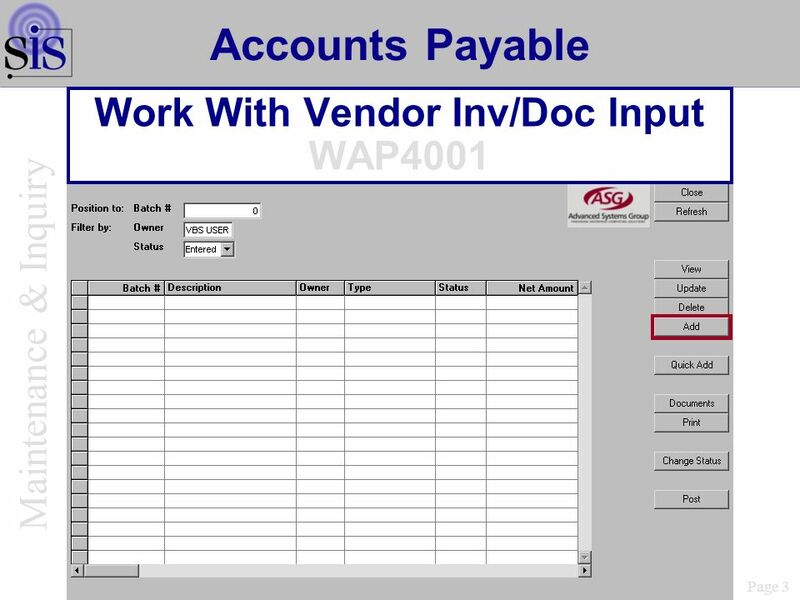 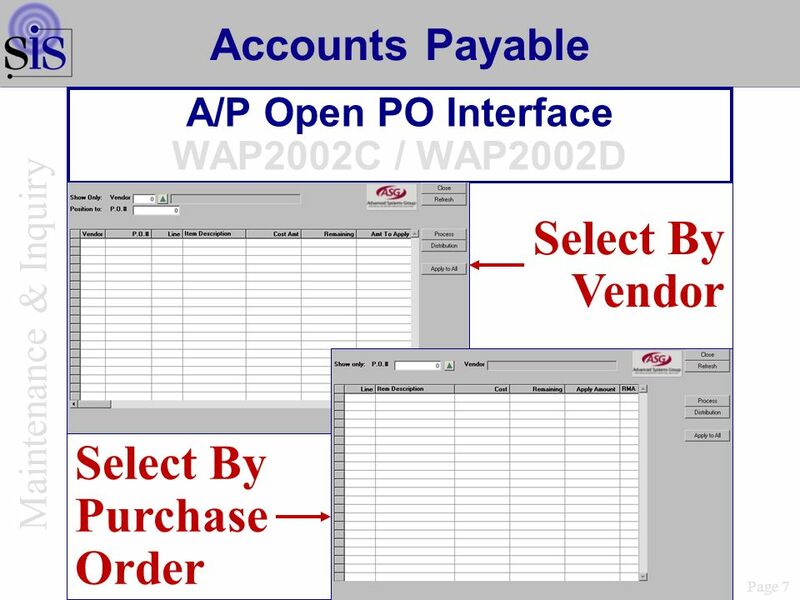 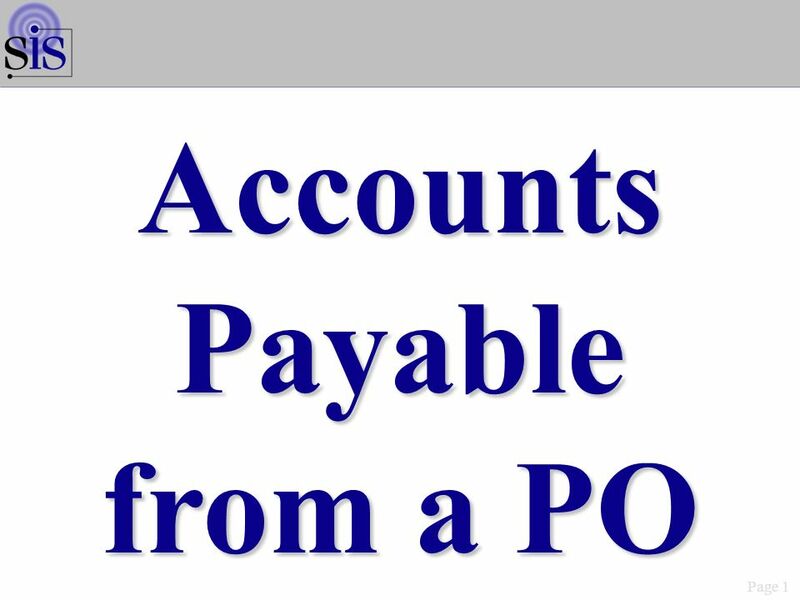 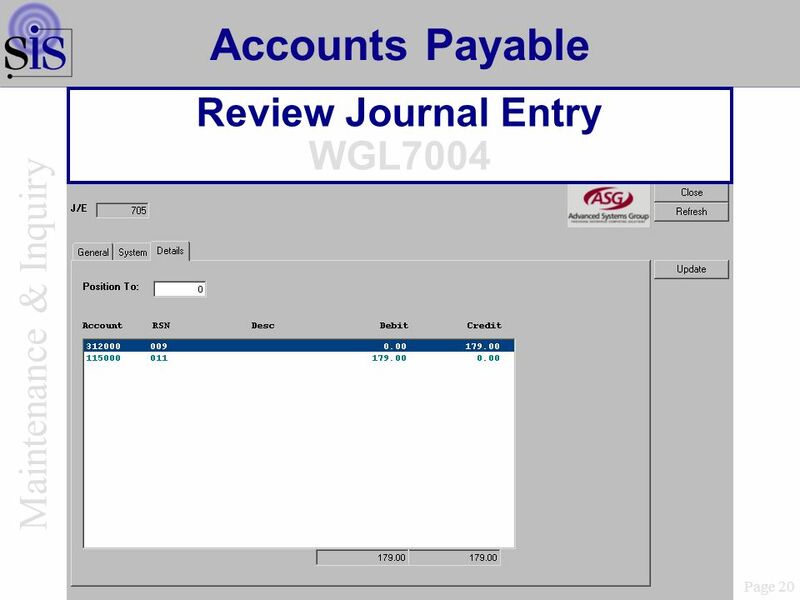 Download ppt "Page 1 Accounts Payable from a PO. 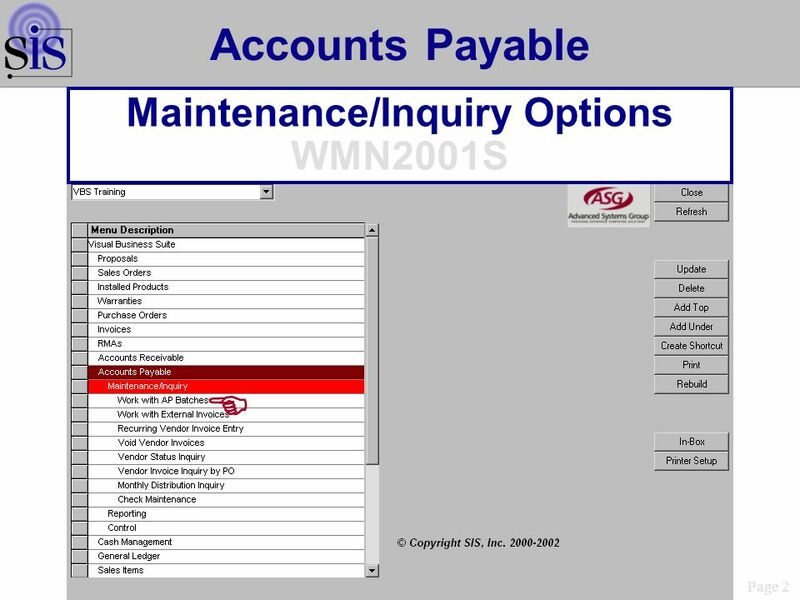 Page 2 Accounts Payable Maintenance/Inquiry Options WMN2001S." 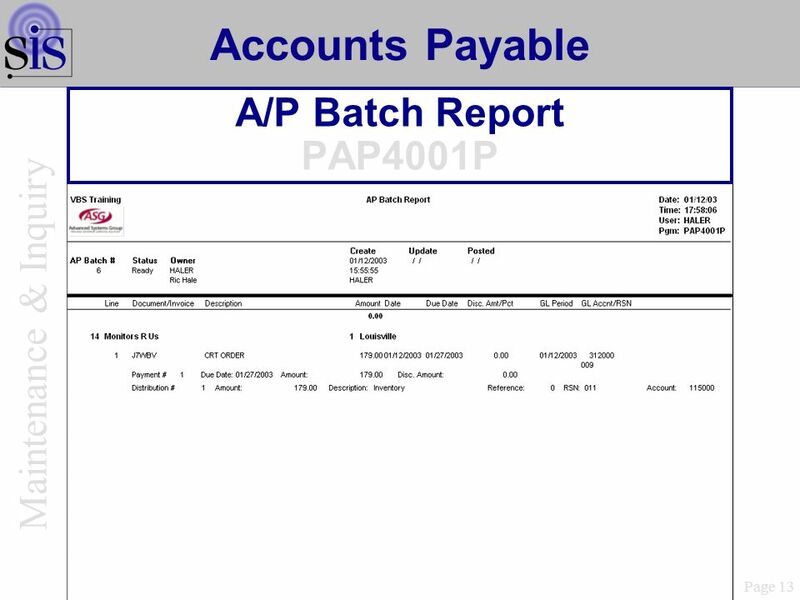 Page 1 AccountsPayableBatchUpdates. Page 2 Accts Payable Batch Updates Maintenance/Inquiry Options WMN2001S.